World Cup lovers will be able to enjoy 14 soccer matches for free outdoors on a big screen in San Francisco's Civic Center Plaza beginning Friday, the mayor's office announced Wednesday. 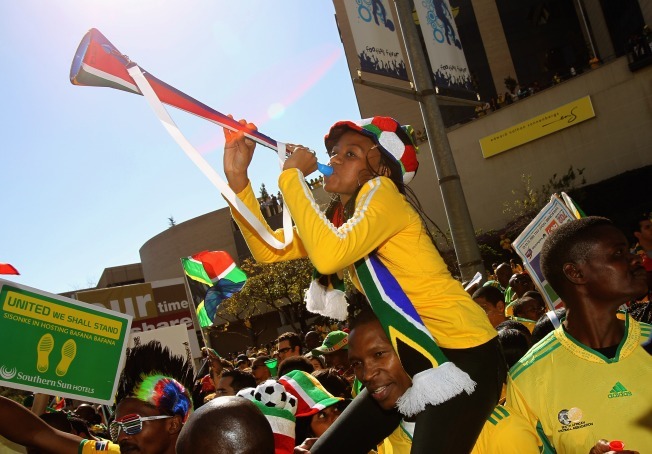 The month-long 2010 World Cup, which takes place this year in South Africa, will be broadcast live on a large-format video screen across from City Hall and will be accompanied by soccer activities for youth and food and drink, according to the mayor's office. "There's no greater sporting event than the World Cup, and we hope soccer fans of all ages will come out to City Hall's front yard to enjoy the games," Mayor Gavin Newsom said in a statement. Broadcasts begin Friday at 11:30 a.m. with the France-Uruguay match. The U.S.-England match takes place at 11:30 a.m. Saturday, and the World Cup championship is at 11:30 a.m. on July 11. For the full schedule of broadcasts, visit www.worldcupsf.com.